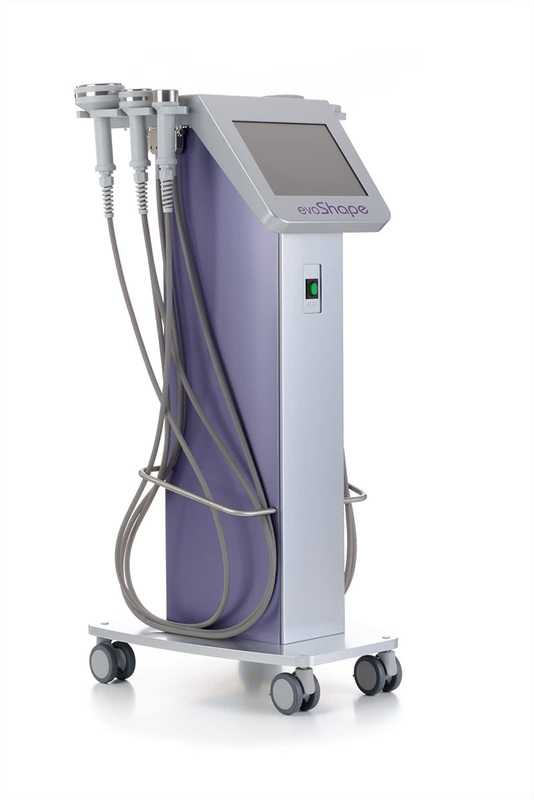 Thanks to the wide range of radiofrequencies earlier unattainable for other systems, combined optical effect and unique patient’s safety system, the EvoSHAPE is probably one of the best instruments for efficient performing the whole spectrum of radiofrequency lifting procedures. Integral and multiplpe effect of the system to biological tissues allows to achieve excellent results in fighting cellular senescence, droop, striae and skin laxity, reduction of muscle tone, body looseness, excessive adipose tissue, cellulite. The EvoSHAPE makes available to a doctor the range of six (!) radiofrequencies from 350kHz to 2MHz unattainable for other models! Such capabilities allow to successfully use one system for solving a widest range of aesthetic and cosmetological problems of your clients. The point is that different frequencies of electromagnetic current interact with the patient’s skin in different ways. Higher frequencies provide smaller depth of penetration and predominantly affect dense tissues while lower frequencies have deeper depth of penetration and affect looser tissues. 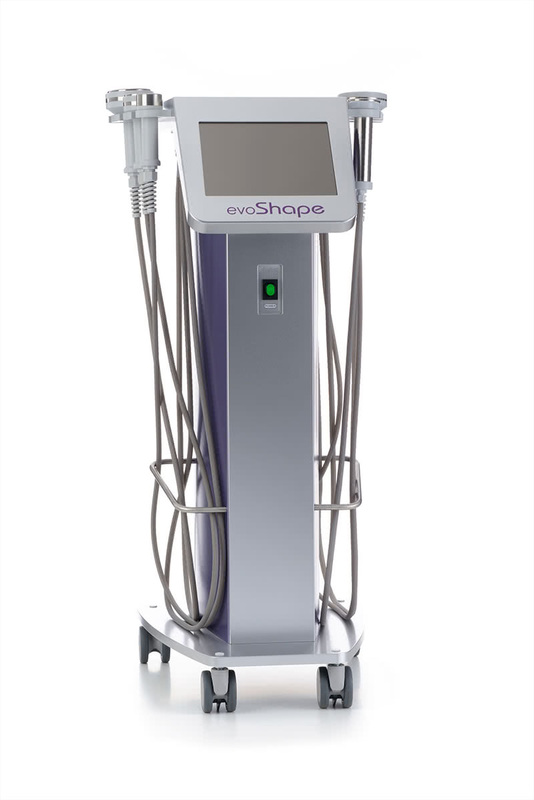 Using the EvoSHAPE you can select the most efficient frequency for a certain derma density. 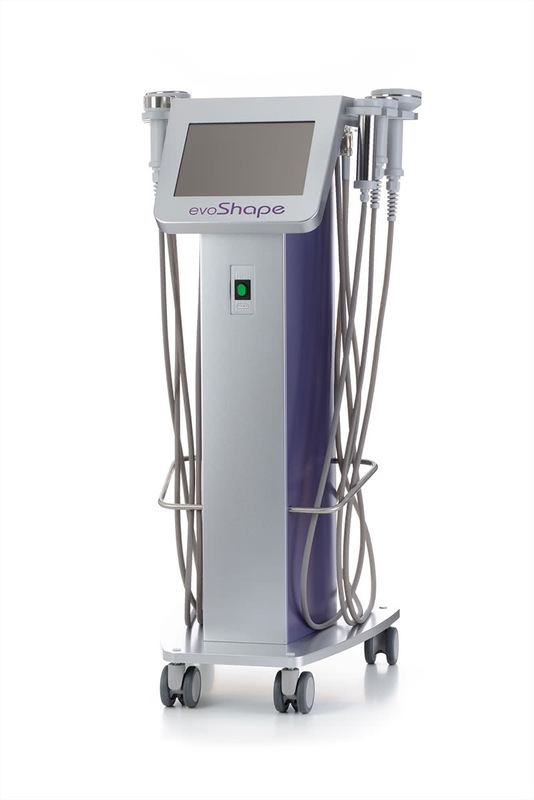 Besides, the EvoSHAPE allows to control the depth of penetration not only by choosing the handpiece with different interelectrode distance, but also by choosing the appropriate radiofrequency. It is known that red light of certain wavelengths is selectively absorbed by connective tissues and promotes activation of its structural molecules growth. The EvoSHAPE handpieces are equipped with a high-power source of red light with specially selected wavelengths: 633nm falls at the absorption peak of 5-aminolaevulinic acid (ALA) and Protoporhyrin IX (PRIX) while 613nm falls at the absorption peak of Coproporphyrin III which stimulates mitochondria for synthesis of ATP (adenosine triphosphate) which, in its turn, activates fibroblasts for synthesis of collagen and other structural molecules. 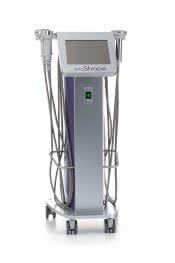 Combined effect of radiofrequency and red light inter-enhance the effect of stimulating synthesis of new collagen and elastin molecules. From the point of view of patients’ safety, it is very important to control the temperature and treatment time. For this reason, we equipped the EvoSHAPE handpieces with a pyrometric sensor allowing to precisely and very quickly measure the patient’s skin temperature right in the course of treatments. The EvoSHAPE possesses an intellectual recognition system of contact between the handpiece and a patient’s skin. 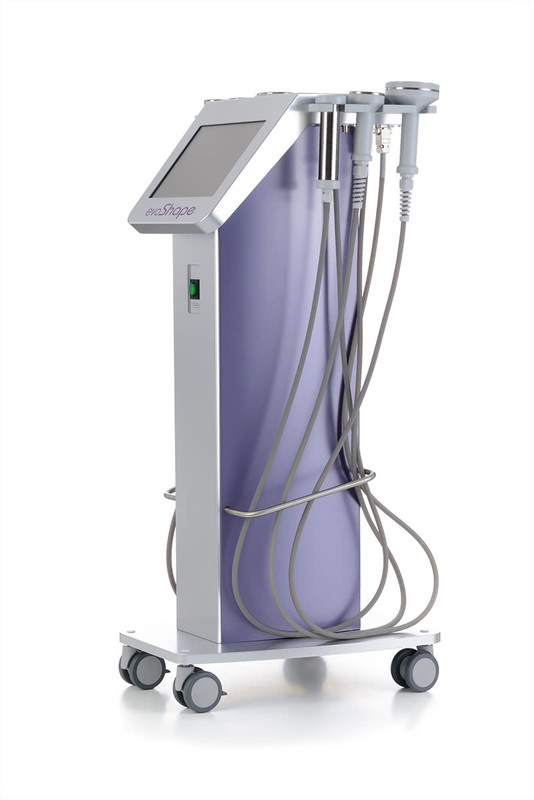 The effect of the system will occur only in case of good contact with the skin being treated which will also allow to avoid unpleasant prickling sensations when a handpiece touches the skin thus ensuring patients’ comfort during treatments. 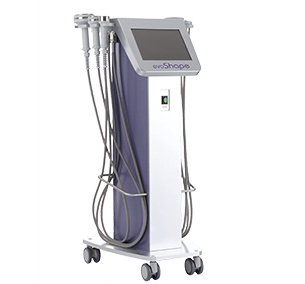 The unique EvoSHAPE features ensure a highest quality of performing the complete range of thermolifting procedures. 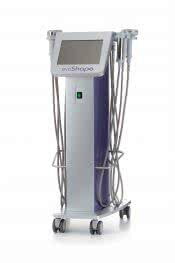 The aim of such procedures is to quickly and painlessly provide visible skin lifting, smooth away wrinkles, increase skin elasticity and return it a young look. In the course of a treatment, electromagnetic radiowaves penetrate into derma layers bypassing epidermis and generate heat which activates elaboration of fibroblasts which, in their turn, intensify collagen synthesis. This technique is used both for skin rejuvenation and body skin tightening.